Tom is married with two children. Prior to retraining to become a solicitor 23 years ago, Tom spent a number of years in the police and subsequently as a self-employed business man. This experience has given Tom a keen commercial awareness and the ability to analyse evidence effectively. 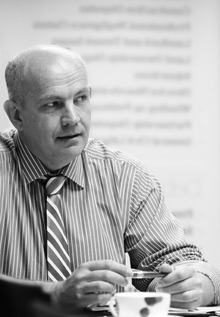 Tom was formerly a partner and Head of Commercial Litigation at a large regional firm. When he is not fighting his client’s corner he enjoys cricket, rugby and fishing (when his boat is working!). Charlotte, always knew that she would have a career in law and commenced her legal career at 15 after undertaking work experience at 12 College Place (a barrister’s chambers). This led to her accepting an offer of full time employment as a barrister’s clerk. She subsequently studied law at Southampton University and post graduate at Guilford College of Law. After squeezing some travelling in she went on to work both as an in house solicitor for a UK Company and in private practice. She set up in Partnership with Tom in 2010. Charlotte has a keen eye for finances, both those of her firm and her clients. 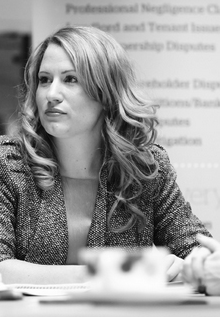 She is renowned for her direct approach when recovering her client’s debts. She is a proud mother of two young sons, who keep her very busy when not at work. In what spare time she has she can be found horse riding in the New Forest.